Religion has been, and is, an important element in Indian society and history. It is, however, rare for the subject to be discussed with the necessary degree of detachment. This volume was, therefore, planned with the object of providing a collection of studies that would deal with the role of religion in Indian history on the basis of a rigorous application of academic criteria. The results may surprise those who are more familiar with chauvinistic or apologetic interpretations. The editor’s introduction and the fifteen chapters range over an extensive period, from prehistory to the present day, and take up specific problems of crucial significance in exploring the inter- relationship between religion and social change. This volume draws on new research and is meant for academics as well as general readers, who may find here much that is of relevance to their social and intellectual concerns.Religion has been, and is, an important element in Indian society and history. It is, however, rare for the subject to be discussed with the necessary degree of detachment. 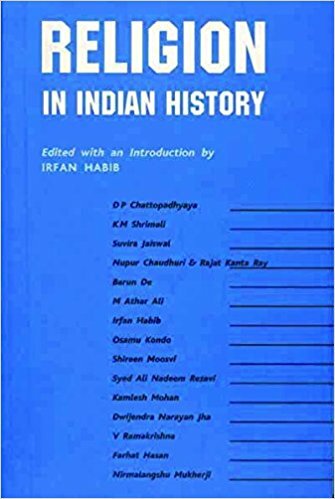 This volume was, therefore, planned with the object of providing a collection of studies that would deal with the role of religion in Indian history on the basis of a rigorous application of academic criteria. The results may surprise those who are more familiar with chauvinistic or apologetic interpretations. The editor’s introduction and the fifteen chapters range over an extensive period, from prehistory to the present day, and take up specific problems of crucial significance in exploring the inter- relationship between religion and social change. This volume draws on new research and is meant for academics as well as general readers, who may find here much that is of relevance to their social and intellectual concerns.